Among the most common stereotypes of Granite Bay High School is the inevitably competitive academic atmosphere. 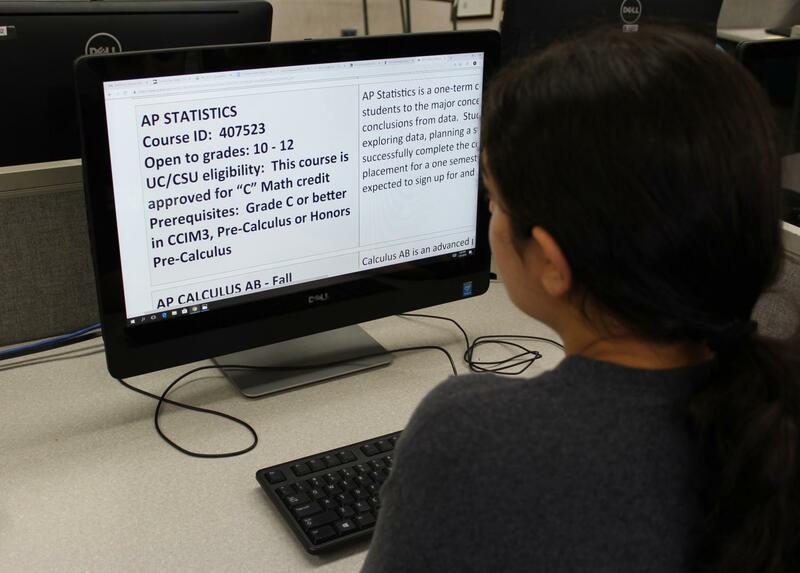 Students stack up as many Honors and AP courses in hopes of boosting their GPA. But when it comes to the point of a freshman student taking AP courses, one can only pity their strenuous academic responsibilities starting at such a young age. This eventually leads to greater concerns in terms of their social life and emotional development, leaving many wondering where the line should be drawn. Shreya Holikatti, a sophomore, is among those students who started AP and Honors classes as a freshman, taking Honors Precalculus and AP Statistics. Even this year she is already taking five AP courses and three Honors classes in total, a significantly greater number than the average sophomore. Kavya Krishnan, Shrina Pandey, Ishna Pandey, and Raha Elahi pose together in front of a classroon at GBHS. Kavya Krishnan, another sophomore, did not take any advanced courses as a freshman. However, she is taking a plethora of Honors/AP classes as a sophomore in an attempt to prepare for college. With the surplus of underclassmen taking such advanced courses comes the question as to what recommendations counselors give to these students, especially in regards to maintaining a social life. Navjot Singh, one of the school counselors at GBHS, says that personal and social issues plays a huge influence on counselor recommendations for academics. However, as long as one can efficiently manage their time, they should be able to challenge themselves. With that being said, freshmen are still generally not allowed to take AP/Honors classes. Nevertheless, the sophomores who have already taken these courses as freshmen believe that they should be allowed to challenge themselves if they are qualified. Shreya Reddy, a sophomore, has taken a great load of Honors and AP courses in total from freshman and sophomore year. Having succeeded in these difficult courses, she says that all underclassmen should be given the opportunity to take advanced classes. “If students want to take courses that might be considered hard for their age, instead of declining right away, make it a point to give them an entrance test to see if they are actually capable of keeping up in class,” Reddy said. However, while it might be expected for these students to have a very limited social life, not all feel the same way. Aarthi Sridhar, also a sophomore, says that despite her enrollment in several AP/Honors classes, she has not felt any social or even health impact whatsoever. However, other students definitely feel held back by the restraints of their academic expectations. Krishnan said that not only has she been limited in the amount of time she had hoped to spend with friends, but she also has been unable to find any time for community service. “I wish that my counselor had told me how difficult this year would be because now my entire life is consumed with academics,” Krishnan said. In addition to the social impact, there’s concerns for its impact during class. Because these underclassmen are taking classes with majority upperclassmen, it is understandable why they might feel uncomfortable within a class setting. 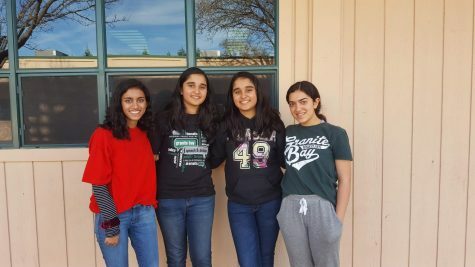 Krishnan says that because she does not know as many juniors and seniors, she is prevented from receiving the same amount of help she would normally get in a class with fellow sophomores. To cope with this additional stress and pressure, Singh promotes the usage of school resources such as Grizz Time and after school tutoring. Krishnan advises to prioritize well-being over academic goals.